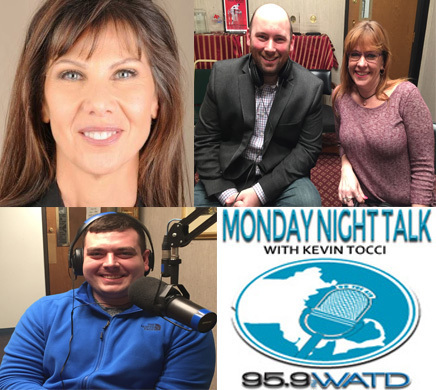 Monday Night Talk host Kevin Tocci chats with Democratic National Committee Deputy Communications Director Sabrina Singh; Joe Weeks, Hanson Selectman candidate; Kingston Selectmen Tammy Murray; Caroline Cory, filmmaker & producer of ET Contact: They Are Here and WATD Sports Reporter Brendan Connelly!!! 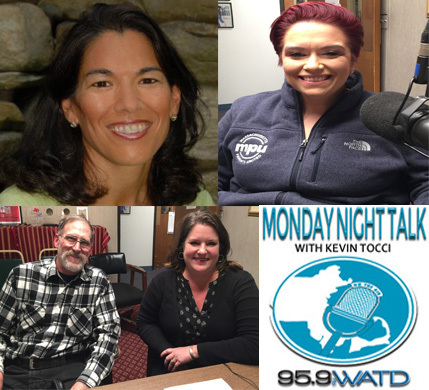 Monday Night Talk host Kevin Tocci chats with State Representative & candidate for State Treasurer Keiko Orrall; East Bridgewater Selectman candidate Carole Julius; Abington Selectmen Jim Connolly; Keri Rodrigues, Mom-in-Chief & founder of Massachusetts Parents United and Financial planner Chris Hutchins!! !